Summer is right around the corner, and what better way to celebrate the end of the school year—or a birthday—than with your very own carnival! Our showroom has everything you need to create a carnival that everyone will be talking about. These are going to require a little bit of elbow grease on your part but they are definitely worth the effort. To help create a larger-than-life carnival atmosphere, you’re going to need a big top tent and an assortment of booths to offer games and activities around the yard. If you don’t have a tent, you could easily create one yourself. Better yet, save yourself the time and trouble and rent a tent from us! 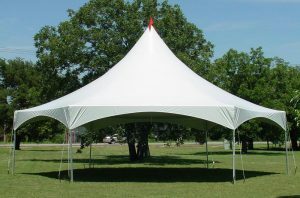 We have a selection of pop-up, canopy, and marquee tents available. Use string and clothespins to suspend bright coloured linens between the tent poles and hang twinkly festival lights around the inside of the tent. Cover the tables with bright linens and use bold signs to let people know what’s on the menu. Chalkboard signs are a fun, economical way to label food. Gather large left-over cardboard and create yourself a ticket booth and game booths. Paint them with a coat of bright colours (maybe circus stripes) and be sure to include signage for each game and activity. Linens can also be used to section off areas for games and activities. Simply hang the signs using string and clothes pins. It’s not a carnival—or a party—without games! There are so many fun ideas to incorporate that the hardest part will be choosing which ones you want at your party. Don’t forget the tickets! They are part of the thrill of going to a carnival. You can make your own or buy a single roll of tickets to hand out to your guests. Take-away prizes could be based on the amount of tickets left at the end of the party, or guests can win prizes at each booth. It’s your carnival, so you decide what works best! Just be sure to enlist volunteers to man each booth. Setting up food booths in your big top tent—or around your yard—is a must. Offering carnival-type foods will keep the work load lighter and make your party a hit. We can provide you with awesome novelty items like our popcorn, cotton candy, and snow cone machines. 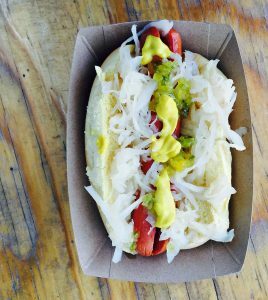 We can also supply a hot dog machine (with bun warmer) and our infamous slushie machine. Refreshing slushies would be best served in mason jars with lids and jazzed up with striped paper straws. If you’d like to balance out the menu, offer easy to serve fruits and vegetables like watermelon and corn on the cob. And don’t forget the peanuts—unless there’s an allergy! Kids love dressing up (adults too)! Why not include a fun way to create and share lasting memories? Our photo booth buckets include fun props, a Bluetooth selfie stick (to use with your own phone), and instructions. Gather up some old costumes and create fun speech bubbles to add to the mix. Bright coloured decorations + festival lights! It’s not a carnival without decorations! Transform your outdoor space with bright coloured balloons, strings of festival lights, bubbles, and eye-catching signs. We have all the balloons and ribbon you could imagine, plus we take care of blowing them up! Our bubble machine will keep kids busy as they wait in line for games and add a sense of whimsy to the party. When it comes to signs, go to town with cardboard, bold lettering, and bright coloured paint to attract attention. If you really want to get your DIY on, put together some wire-wrapped or marquee signs that will definitely stand out in the crowd. Don’t forget the prizes!!! Candy and small inexpensive toys—like bouncy balls, kazoos, and glow sticks—are excellent choices. Store your prizes in mason jars and label according to how many tickets each prize is worth. 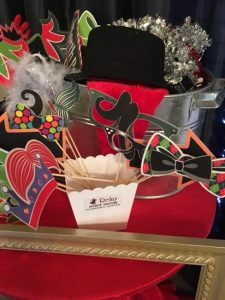 No matter what type of event that you’re planning, we have an extensive selection of event rentals, novelty items, and creative decorations for you to choose from. Have an event in the works, but need help flushing out a theme? We are full of ideas and always happy to help!